Last night I came across this visual and it immediately struck a chord. I posted it on my FB page as well as on my Pinterest board and I realised it resonated in many hearts. Why do we hurt for something that can never be? It should be easy, right? That person is no longer in your life--so shut them out and move on. Like jagged edges of a broken glass. Like pin pricks of a million needles. You never think something that gave you such joy can cause you this much pain. Yet it does. But you learn to cope. You smile bravely and pretend it does not matter anymore. But deep down you remember it all. You might have pushed it into a box and shut it tight, deliberately distracting yourself with other things so you do not have to think about it. But the box does open, many a time so unexpectedly with such little keys--like a song on the radio which held a special memory, or may be someone saying something which used to be the special phrase you used when it was just the two of you. It never leaves really, does it? How can you erase something that has already been? That is precisely why the above lines make so much sense. "If it still hurts, you still care." I guess some things will always be. Maybe shut in a box, maybe pushed into the attic. But existing nevertheless. To deny would be lying to yourself just as mourning for something that cannot be and wallowing it it would be shutting the doors to many more happy memories waiting to happen. Life is full of surprises. And time is ticking. So go out there, give your best smile, Grab it, LIVE it, revel in it. yes its all there...but we need to move on...but do we really move on...?????? How True!!! However hard we try, it's just "impossible" to shut those memories. All of a sudden a song, a phrase can bring tons of memories with them! But once we learn to take life as it comes,it becomes much easier to float in the surprises and happiness! Waw..nice one..and yes life is full of surprises..we don't know what will happen next,So Enjoy your life at the fullest. 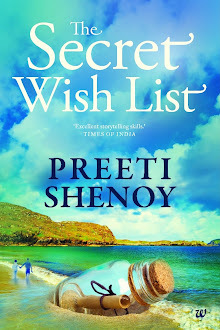 Wonderful post Preeti. Very relevant and so very true. those lines are very true .. after seeing it on Twitter, I have shared them everywhere now .. Sometimes, the more we pretend not to care, the more we keep hurting from within. The best solution is to accept that we care, it still hurts and then start the journey again. Walk through it to walk out of it. Time's the only healer which inevitably hurts you and then makes you learn to live with that void created by memories until a new surprise; a new confiding soul comes into your life to embellish it yet again with his/her own distinct personality. Life's a gift and we mustn't waste even a moment of it being somber and depressed. I remember a line, "If winter comes, can spring be far behind?" Sorry Preeti, comment itself is like an inept, untitled summary of my thoughts. It's a bit long. I hope you have time to read this much! Yes, you were right, this post does hit the right strings! It's like you try your hand with every facet of emotion; when you try to forgive but you can't, when you try to placate yourself with 'whatever happens, happens for the best' but you can't, when you try to be neutral and ignorant, again you fail and when you finally think of grabbing hold of 'hatred' hoping it to be your trump card to help you walk through but that just doesn't help either, maybe because even hatred is a form of love, right? Sometimes, there's just no way to expurgate that part even if you know it is the one responsible for the disease. The only solution is to apprise your heart that, that disease was once the receptacle circulating 'life' in you! It at least gave you happiness at that point of time. Yes, some memories can be very powerful, even after years. you can never truly escape them , though time makes you push them at a remote corner of your heart. They may come back, but you need to move on after a few minutes of reflection. cos life is all about living in the PRESENT. 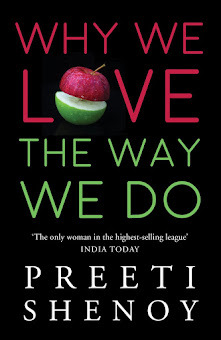 How true and well said Preeti di? we all gone through this life phase in many ways.It really hurts if u care much. Memories and the pain will always be there.u become emotional when we r really involved. And this line and what you've said, would remain with me too for a long, long time! This post just went straight to my heart...it's as if you wrote this for me...just for me!!!! How can a person who doesn't even know me, write so well about all my feelings????? Who are you Preeti? I want to know you all over again! I was just sitting andd came across with this blog of your. And you are certainly right. It hurts each and everytime, you think about that person. That person because of which you feel happiness and who told you to cry when you dont know that. Infact the thing is life is just like a broken mirror without that person. so true. Its been 4 years have not seen my father nor spoke to him. The way he made his few dialogues in our last meeting still hurts a lot. Being a pampered child for 27 years and all of sudden behaving so rudely made my heart broken into pieces. since then feels like a orphan, feels so alone though having loving husband and a toddler. still remembers my happy days with my father but as soon as I reached to the last interaction I simply cry for hours. So true.